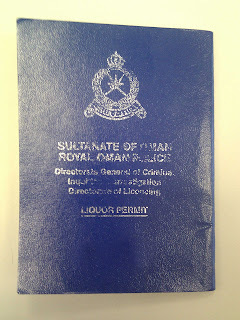 Firstly, I apologise as this post is only for those of you that drink alcohol and have a legal means of purchasing it for home consumption here in Oman. I'm interested to see which chain is the best here in Oman and because I'm nerdy and like to do surveys, I'm doing one! I hope some of you take the 2 minutes required to fill it in! I'll share the results of the poll with you all in a week or two! The survey is totally anonymous - I'm just genuinely interested in what other blue book holders do with their license. I've been here nearly 8 years and my spending habits have changed over that time and I'd like to compare to what the "norm" is! I'd love to be able to do that, but I think that might be breaking a law or something!